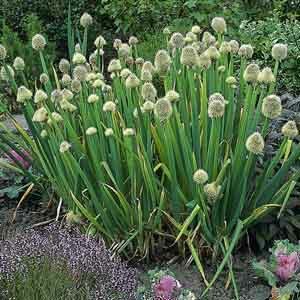 Very popular cooking onion with a mild flavor, also known as scallions. The tubular foliage and narrow bulbs are both useful either sliced or prepared as a garnish using the entire stalk. 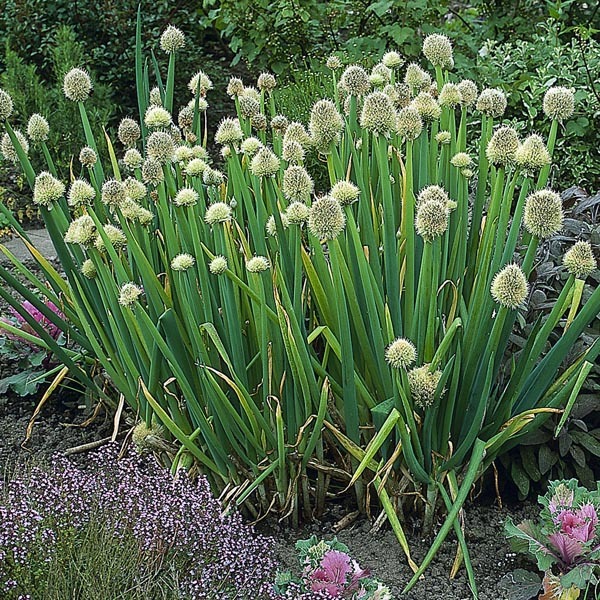 This is known as a “bunching onion” because the bulbs form a clump. The strong vertical line of the plant adds a nice architectural dimension to the garden. Excellent for flavoring a variety of dishes. Superb for adding flavor to soups, stews and casseroles. An excellent addition to salads. Wash fruits, vegetables and herbs thoroughly before eating.